When properly manipulated, a population of support cells found in the brain called astrocytes could provide a new and promising approach to treat Parkinson's disease. That’s the finding of a study done at the University of Rochester Medical Center in New York and published on January 28th 2014 in the journal EMBO Molecular Medicine. A release from the university quotes lead author Chris Proschel, Ph.D. as saying, "One of the central challenges in Parkinson's disease is that many different cell types are damaged, each of which is of potential importance. However, while we know that the collective loss of these cells contributes to the symptoms of the disease, much of the current research is focused on the recovery of only one cell type." The release notes that Parkinson's disease is a progressive neurological disorder which affects an estimated one million Americans. While the condition is associated with the loss of dopaminergic neurons – cells that produce the important neurotransmitter dopamine – the disease's impact is actually far more complex and wide-ranging, disrupting basic signaling functions and triggering the destruction of several other types of cells found in the brain. Consequently, while the preservation and restoration of dopamine producing neurons is critical to slowing or reversing the course of the disease, it is increasingly clear that any successful long-term therapy must both protect the areas of the brain under attack and foster the repair of not only dopaminergic neurons but also the damage that occurs in other cell populations. "Reversing the disease's impact on the brain is akin to the challenges of fixing a house that is in the process of falling apart," said Proschel. "If you only focus on addressing one aspect of the problem, such as the wiring, but ignore the fact that the roof is leaking and the foundation is crumbling, then you haven't really carried out the necessary repairs and it is only a matter of time before the lights go out again." Using human brain cells, Proschel and his colleagues isolated a cell population found in the central nervous system called glial precursors. Through the careful manipulation of culture conditions and cell signals, the researchers induced the precursor cells to produce a specific class of astrocytes. While astrocytes tend to garner far less attention than their more glamorous cousin, the neuron, they nevertheless are critical to maintaining a healthy environment in the brain. On the flip side, scientists are learning that astrocyte dysfunction can contribute to multiple neurological disorders. In both instances, the ability to realize the therapeutic implications of these discoveries has proven to be difficult. The ability of labs such as Proschel's to isolate and identify the unique properties of different kinds of astroctyes, essentially finding the right cell for the right job, offers the possibility of harnessing these cells for new therapies. The astrocytes used in the study differ from other types of astrocytes present in the mature brain. When implanted into the brains of rats with Parkinson's disease, the new cells acted similar to astrocytes found in the developing brain, which are more effective at building connections between nerves and creating a suitable environment for growth and repair. Consequently, the implanted astrocytes acted like a repair crew, restoring the health and stability of the structure and allowing the brain's nerve cells to recover and resume normal activity. The researchers were careful to implant the cells only after the rats had developed signs of Parkinson's disease. This delay was important because it mimics how a similar therapy would be used in humans where the neurological damage caused by the disease precedes its visible symptoms. After transplantation, the researchers observed that not only did dopaminergic neurons recover in the animals, but other nerve cells called interneurons were also rescued. Interneurons play an important role in information processing and movement control, and are also lost in Parkinson's disease. No previous therapies have rescued these cells. 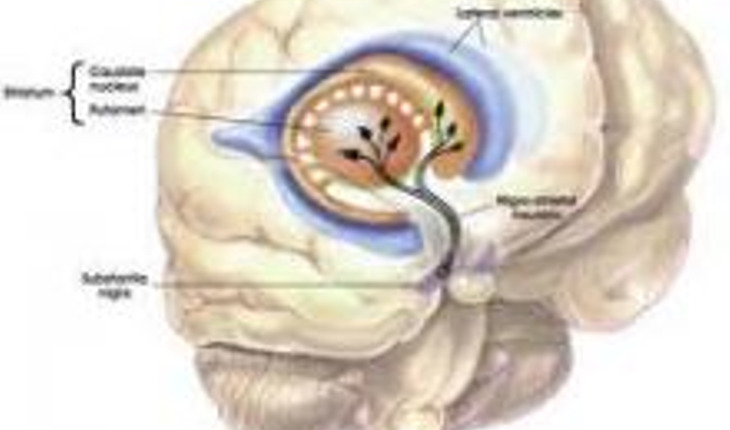 Moreover, the therapy restored normal levels of synaptophysin, a protein that is essential for communication between nerve cells. The transplanted rats recovered motor skills to normal levels, essentially reversing the symptoms of the disease. "The central importance of this work is in revealing a potentially new cell therapy, for which appropriate human cells are in hand, that can be used to restore multiple neuronal populations and to rescue the molecular machinery critical in communication between nerve cells even when cells are transplanted after the damage is already established," said Mark Noble, Ph.D., the director of the URMC Stem Cell and Regenerative Medicine Institute and a co-author of the study. "From what is already known about these cells, it seems likely that they offer a promising approach to a variety of neurological afflictions."